Addiction is a lifelong struggle, and the battle does not end with your recovery program. To achieve long-term sobriety, creating a balanced lifestyle is key. Here are some tips to help you create a balanced lifestyle after your recovery program. Achieving a balanced lifestyle is the goal of holistic recovery programs like Adult and Teen Challenge USA. In addiction recovery, “balance” refers to focusing on all aspects of your health, including your physical, mental, emotional, and spiritual health. Overall, you need to work to reduce stress and maintain your health to ensure you do not return to drug and alcohol addiction. After your recovery program, it is important to set goals for the future. Goals can either be short term or long term and can range in difficulty. Perhaps your goals are oriented toward your career and education, such as getting a college degree, or perhaps your goals center on your health, such as staying sober. No matter your goals, a balanced life has a sense of purpose and direction. To stick with your goals, create a solid schedule. Each day, try to accomplish small tasks that will lead to greater results. Although you should make time to accomplish your goals, also allocate time for rest and relaxation. In your scheduling, strive to create a balance between work and rest. A schedule is particularly important after your recovery program ends. In your program, you may have gotten used to a set schedule, but in the real world, you are on your own. A schedule gives your life a sense of routine which keeps you on the path to sobriety. Taking care of our bodies is something that many of us forget to do. Caught up in our busy lifestyle styles and schedules, we often fail to listen to the needs of our bodies and take proper care of ourselves. Make a plan to eat well and exercise regularly, and make a point to get a good’s night rest every night. By prioritizing your physical health, achieving a balanced life will come easier. At Adult & Teen Challenge USA, we have been guiding students through addiction recovery for over 60 years. 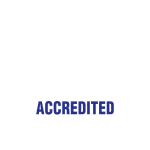 We offer a Christ-centered approach, helping our students discover and triumph over the underlying causes of their addiction and find the love and grace of Jesus Christ. If you or a loved one is struggling with addiction, contact us today.